Today, let’s find out how the New Tampa housing market fared in May 2018. Generally speaking, home sales rose a little compared to last May as housing demand continued to outpace supply. As a result, prices climbed higher than a year ago. Now let’s look more closely at the data. 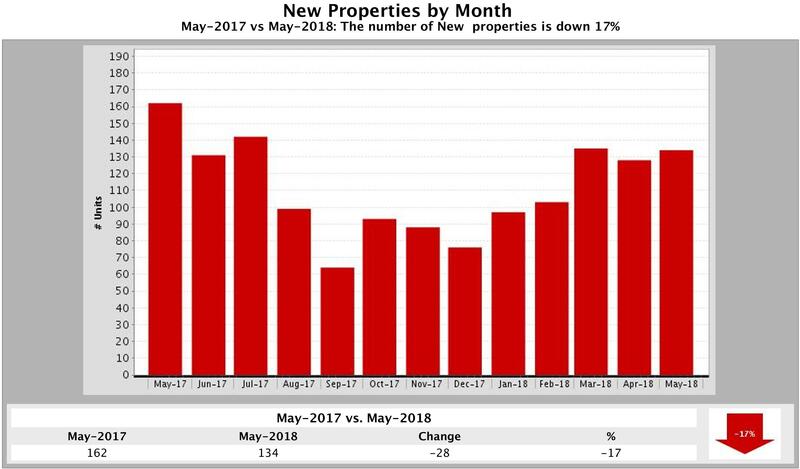 In May 2018, 2 more New Tampa single-family homes sold compared to May 2017. In total, 108 homes sold, 2% more than in 2017 when 106 homes sold. However, this was 30% more than last month when 83 homes sold in New Tampa. The number of homes for sale dropped 22% — from 511 (May 2017) to 399 (May 2018). 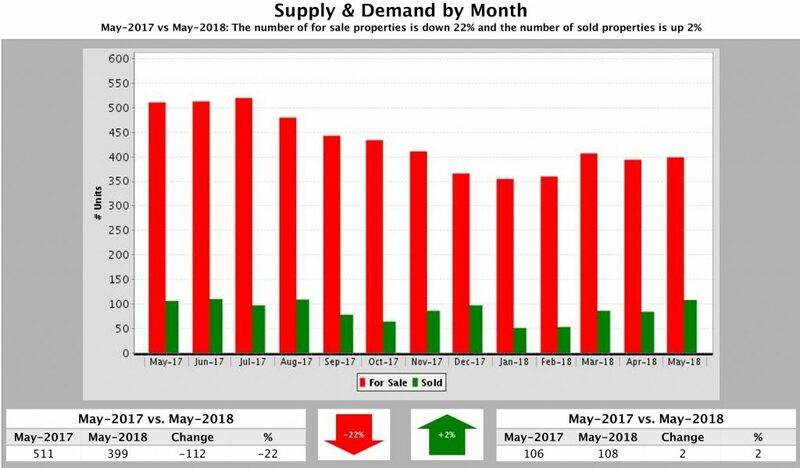 That’s 112 fewer homes for sale than last May and 9 more than a month ago. The number of New Properties listed for sale also fell 17% or 28 homes — from 162 May a year ago to 134 this May. By comparison, last month 128 homes came onto the New Tampa market. 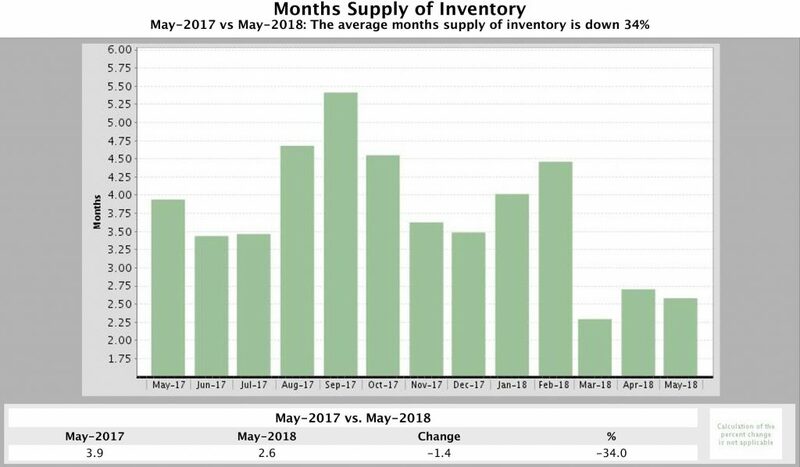 Months Supply of Inventory, which measures how fast the current inventory of homes will run out if homes sell at the current rate, dropped 34% compared to May 2017. This May 2.6 Months of Supply of New Tampa homes were on the market, while a year ago inventory levels stood at 3.9 months. This inventory measure was slightly higher than last month when it hit 2.5 months. 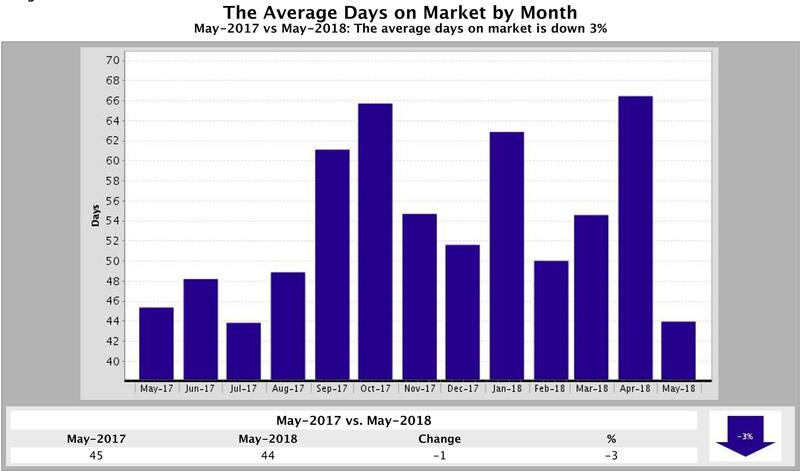 The Average Days a Home Stayed on the Market declined 3% — from 45 days in May 2017 to 44 days in May 2018. The Median Sold Price, which shows the price half the homes sold for, climbed 6% (or $16,750) — from $295,750 in May 2017 to $312,500 in May 2018. The Median For Sale Price of homes jumped 7% or $24,500. 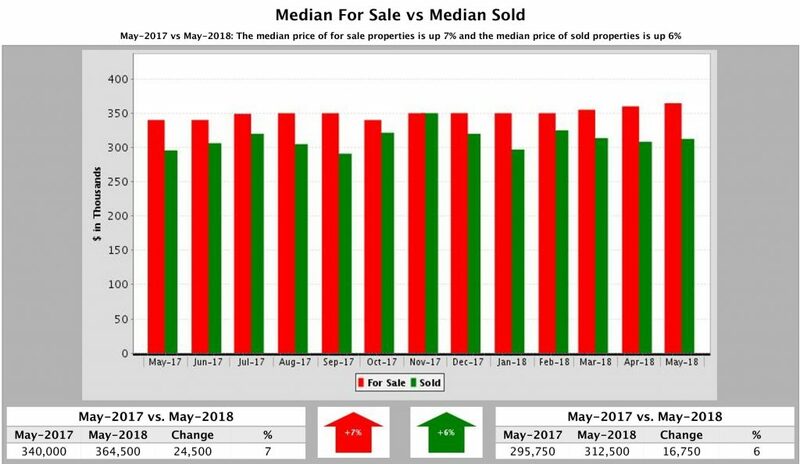 In May 2017, the median for sale price stood at $340,000 but in May 2018 it rose to $364,500. As spring turns to summer, the prime homebuying and selling season will be in full swing. So you still have time to sell your home when buyer demand is at its peak, but you need to start the process now. With higher interest rates looming on the horizon, many buyers want to find a house before the end of summer. Here’s some useful and interesting information we’ve run across this week. There’s something for everyone so be sure to check it out. Father’s Day: Sunday is the day to celebrate the big guy. Take him out to Beach, Brews and BBQ at the Sirata Beach Resort on St. Pete Beach ($12.95-$19.95, sirata.com). If he’s a car buff, he’ll love the Tampa Bay Automobile Museum (3301 Gateway Centre Blvd., Pinellas Park), where he’ll get in free with the purchase of an additional ticket at regular admission ($8). Sunshine State Clusters: See thousands of dogs in all breeds compete in showmanship, obedience and rally from Wednesday-Sunday at the Florida State Fairgrounds in Tampa. $5, children free; $6 parking.floridastatefair.com. Summer Circus Spectacular: The annual summer shows from Sarasota’s Circus Arts Conservatory brings Ringling veterans to the stage of the Historic Asolo Theatre, with preview performances beginning Tuesday, opening night on Saturday ($50). Runs through the end of July. $12-$16. ringling.org. Music: Former Creed frontman Scott Stapp plays Clearwater’s Capitol Theatre tonight ($35.50-$60). Tuesday, British duo Royal Blood rock St. Pete’s Jannus Live ($25). Thursday, enjoy an acoustic performance from Andrew McMahon in the Wilderness at the Ritz Ybor ($30.50-$50). Grammy Award-winning pop-rock superstars Maroon 5 hit the Amalie Arena on Saturday ($45.75-$145.75). Sunday, take Dad to the MidFlorida Credit Union Amphitheatre when Styx, Joan Jett and the Blackhearts and Tesla co-headline ($29.50-$350). The Illusionists: Live From Broadway: A group of five magicians perform a range of styles from escapism to comedic magic at Tampa’s Straz Center for the Performing Arts, on Saturday. $35 and up. strazcenter.org. Mr. Rogers Neighborhood Block Party: Tampa Theatre celebrates the Mr. Rogers documentary, Won’t You Be My Neighbor, with a screening and block party on Tampa’s Franklin Street with food samples and art exhibits. Free (party); $9-$11 (movie). tampatheatre.org. Regal Summer Movie Express: Select Regal theaters will show kids movies for $1 every Tuesday and Wednesday throughout the summer. This week it’s Ice Age: Collision Courseand Despicable Me. regmovies.com. Young Americans are hitting more and more homeownership roadblocks: crippling student debt, escalating home prices, surging mortgage rates and a scarcity of listings. So why have they gone on a buying binge? First-time buyers accounted for 46 percent of new mortgages (excluding refinancings) that Freddie Mac backed in the first quarter, their biggest quarterly share in data going back to 2012, according to the company. Meanwhile, the National Association of Realtors puts the median age of first-timers in the U.S. at 32. 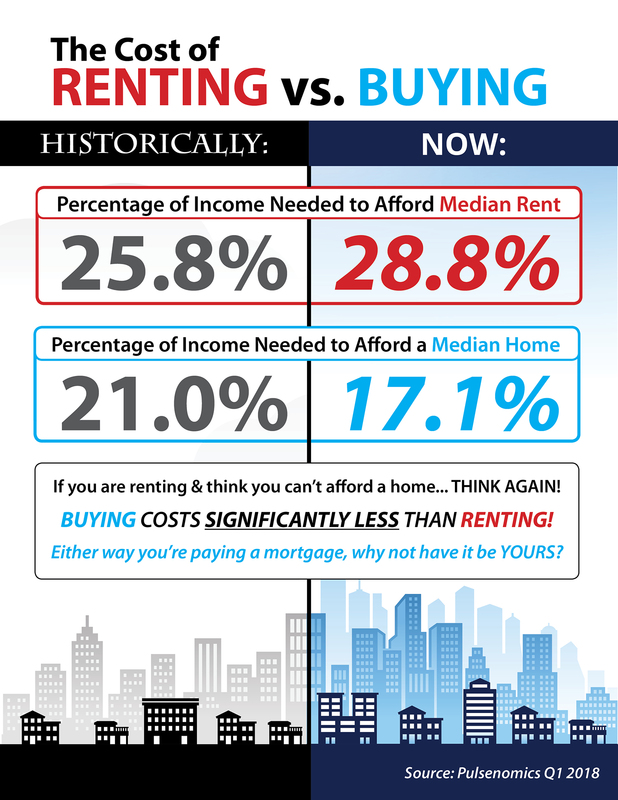 In other words, it appears that young people, helped by easier credit and an improving job market, are acting fast as rents rise and a surge in property values and borrowing costs threatens to price them out of homeownership. 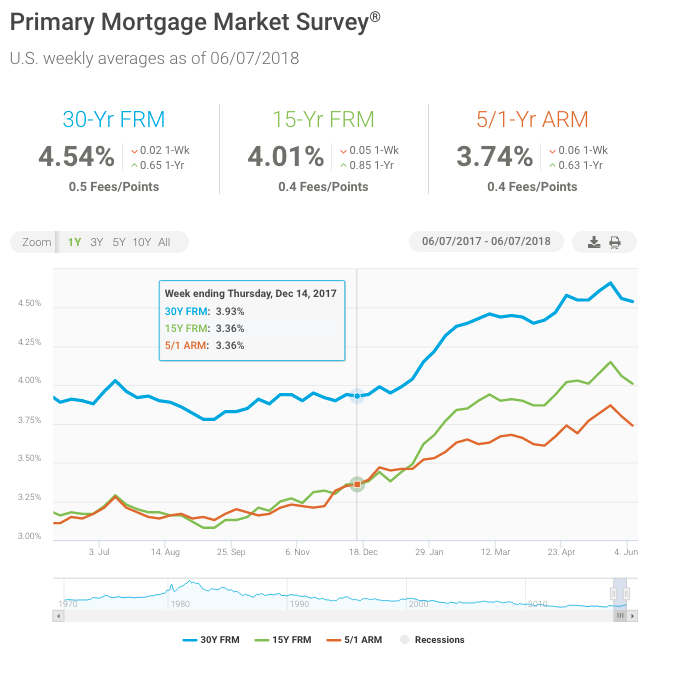 Mortgage rates dipped for the second consecutive week. Homebuyers have taken advantage of the recent moderation in rates, which led to a 4 percent increase in purchase applications last week. Although demand has remained steadfast against the backdrop of this year’s higher borrowing costs, it’s important to note that the growth rate of purchase loan balances has moderated so far this year – and particularly since March. This slowdown indicates that buyers are having difficulty stretching to keep up with the pace of home-price growth. Thanks for reading Tampa Market Monday. If you want help buying or selling your home, please get in touch. We’ve sold over 4,600 homes in the Tampa area and our mission is “to elevate the practice of real estate to an art form — and to deliver a real estate experience that is re-imagined and extraordinary! 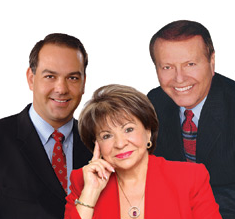 You can reach me, Doug Bohannon or Dale Bohannon at 813-979-4963 or by completing this contact form.